The Raiders made two additions Friday, one who could start in 2019 and another whom they hope sees minimal action. OAKLAND, Calif. — The Raiders made two additions Friday, one who could start in 2019 and another who they hope sees minimal action. Former New York Giants safety Curtis Riley signed a one-year contract after visiting the club Wednesday. He enters the mix in the secondary and can push for a starting role opposite Karl Joseph. Meanwhile, the Raiders became Mike Glennon’s fourth team in as many years. Terms on the reserve quarterback’s deal were not immediately known. A healthy Derek Carr means few reps for his backup. Last year, AJ McCarron attempted three passes to Carr’s 553. The Raiders released McCarron last week for financial reasons, hence the need for more insurance at the position. The team is expected to enter the draft with Glennon and Nathan Peterman at reserve quarterback. It is possible the club will draft a fourth arm, although any such investment appears more likely to come on the draft’s third day — rounds four to seven — than the first three rounds. 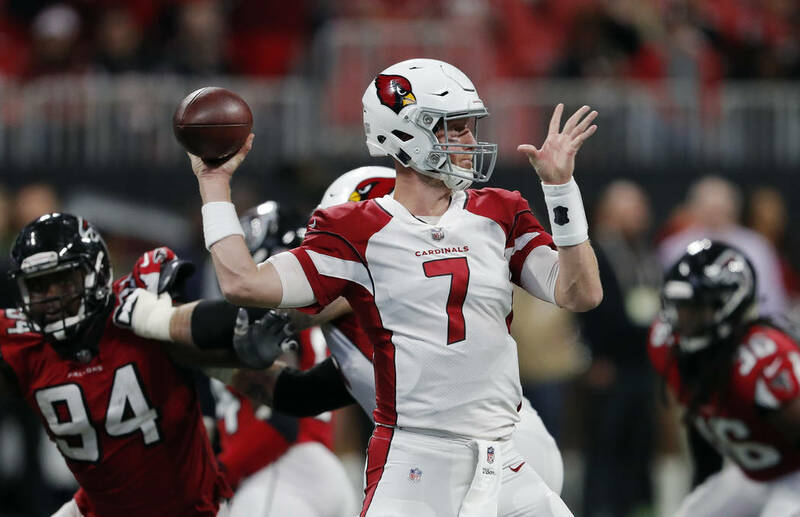 Glennon, 29, spent 2018 with the Arizona Cardinals, 2017 with the Chicago Bears and his first three seasons with the Tampa Bay Buccaneers. He completed 60.9 percent of passes and averaged 6.5 yards per attempt while throwing for 5,107 yards, 35 touchdowns and 20 interceptions on 791 attempts in that span. Glennon and Peterman are expected to compete for the No. 2 job. Last year, E.J. Manuel and Connor Cook similarly battled. Neither truly won. Cook was cut Sept. 1. After coach Jon Gruden acquired McCarron in a trade from the Buffalo Bills, Manuel was released hours later. Riley, 26, started 16 games at free safety last season. He recorded four interceptions, a feat no Raiders defensive back has accomplished since safety Reggie Nelson totaled five in 2016. Riley agreed to terms Friday morning while Jim O’Neil, the team’s senior defensive assistant, evaluated defensive backs at Kentucky’s pro day. O’Neil works most closely with the safety position. Riley was one of four defensive backs known to visit the Raiders on Wednesday. Cornerback Nevin Lawson, cornerback Tyler Patmon and safety George Iloka were the others. Lawson signed a one-year contract Wednesday. Two days later, Riley followed.